The inspiration behind Plaza - an exclusive calligraphy font from Smock - Smock. Did you know that Smock offers six exclusive calligraphy fonts? These very special fonts are based on the actual penmanship of master calligraphers. 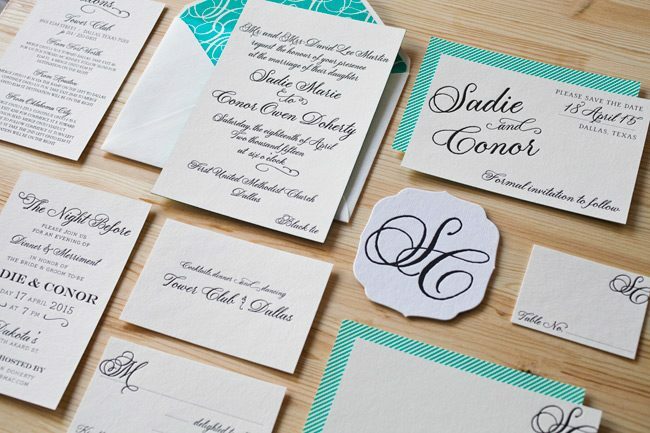 Two of these exclusive calligraphy fonts were introduced for the 2013 wedding season: the Smock Plaza and the Smock Stella. Today we’re going behind the scenes with Sarah Hanna, the talented calligrapher who carefully crafted the elegant Smock Plaza font. How did you develop the Plaza Hand for Smock? Italian fashion, the southern coast of France, harvest time in Northern California. A love letter in another language. Perfect oysters right out of the ocean. Plaza is made up of the little joys that make celebrating an art. Smock owners Debbie and Harold’s son came up with the name ‘Plaza’….I love this for two reasons: (1) He is 4 years old and the word ‘Plaza’ is in his vocabulary. Divine. (2) Eloise (the children’s book character who lives at the Plaza Hotel in NYC) has been a life-long hero of mine – so you can add ‘room service’ to the list of things that make life delicious. 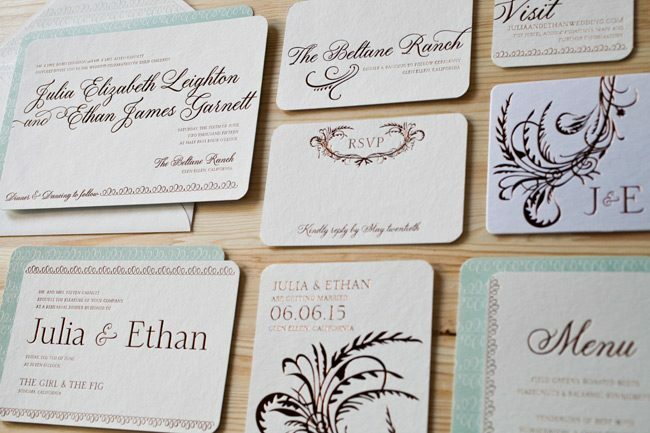 What kind of weddings do you picture this font used for? The bride that selects the Plaza font will have a wedding that, while polished and poised, will be abundant with meaning and personality. 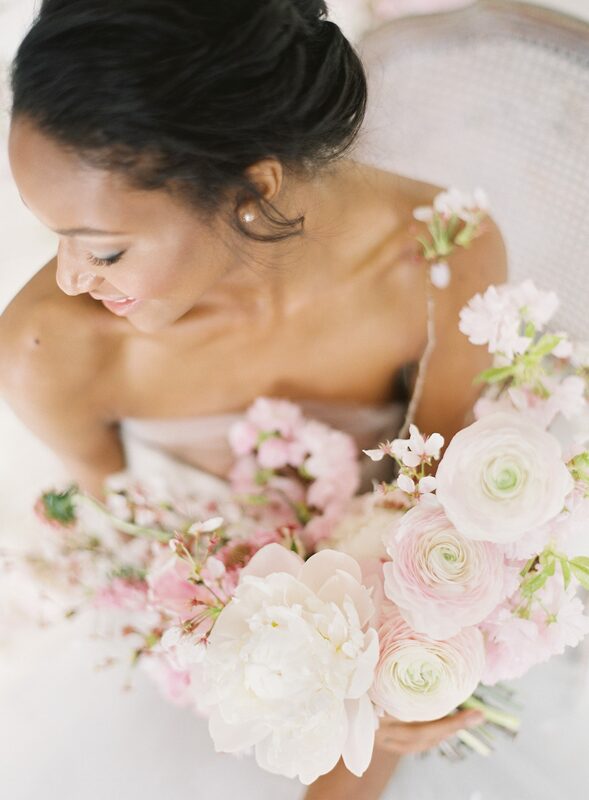 She will incorporate family heirlooms and go to great lengths to make each guest feel honored. Hand-written notes in the welcome bags…using a family recipe for part of the wedding menu…creative events like a rehearsal dinner softball game when the groom is a baseball player or a sunset croquet welcome party in the South will abound. The wedding could be on the beach in her hometown or at a private resort tucked into a beautiful, natural setting. It could be city chic with splashes of color or in an exotic destination. Regardless of the setting, it will be an epic celebration of great taste! In love with the Smock Plaza font? Visit a Smock dealer today to take a look at our albums and get started on your next custom order!